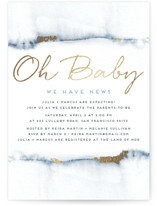 Oh Baby We Have News! 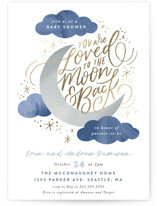 Celebrate the mom-to-be with unique foil pressed baby shower invitations. 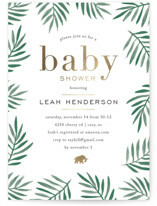 Minted has beautiful designs to compliment the guest of honor, no matter her style. 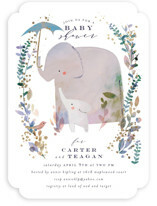 Whether you are looking for modern boy baby shower invitations or stylish girl baby shower invitations, you are guaranteed an invitation as beautiful as your event. 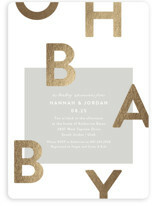 Our foil pressed baby shower invites are beautifully stamped with real foil shine in silver, gold, rose gold or pure glitter. 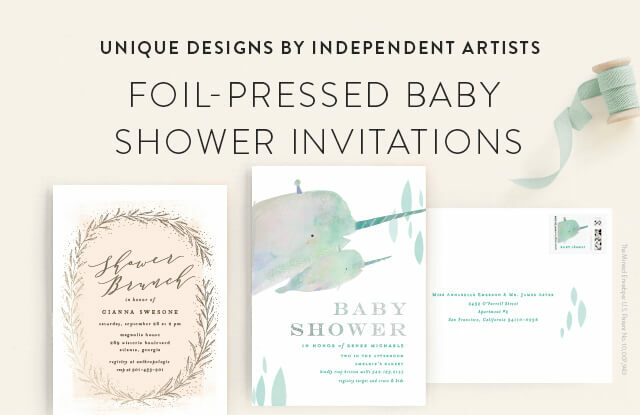 All foil pressed invitation templates begin their life as beautiful independent designs. 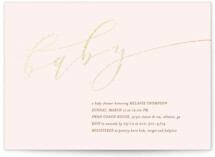 Achieving the perfect foil press is an exact process. 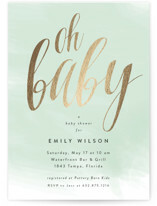 Our beautiful real foil selections are created by hand, with a process similar to letterpress. 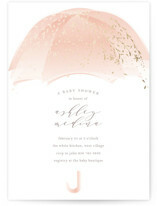 The foil is applied with pressure, on your choice of our luxurious paper options. 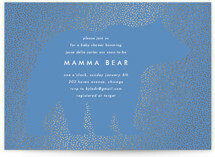 Foil printing uses heated dyes, so when pressed they seal onto the paper in a thin, shining, layer. 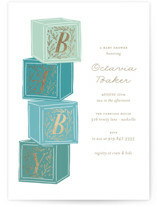 Choose from an array of card shapes and colors to make your invitations just right. 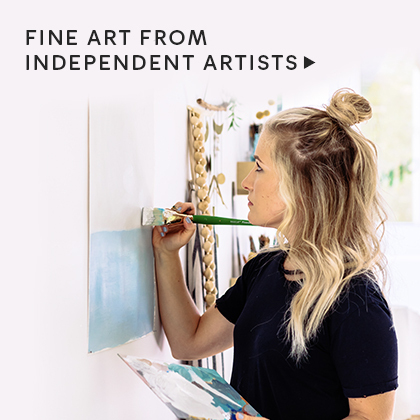 Or, submit any special customization requests to our design team so we can help. 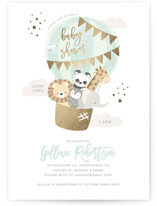 From fine tuning to creating completely custom design we are dedicated to making your baby shower invitations everything you imagined. 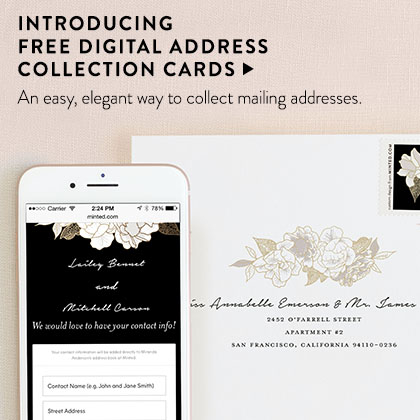 Include our gift of FREE recipient address labeling, for that perfect finishing touch. 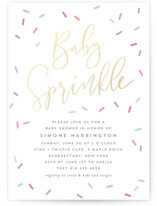 A variety of our styles have matching baby shower thank you cards and favor tags you can include, to make your event that much more special. 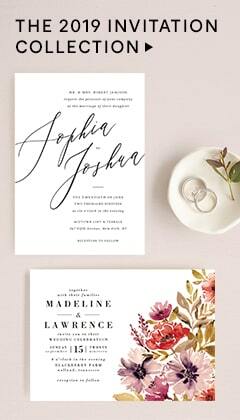 Choose from six perfect paper types, in a variety of weights and finishes to match your style, and event, with ease. 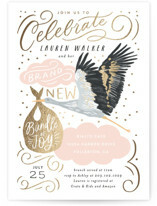 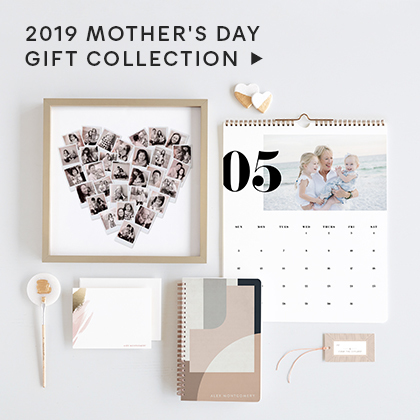 At Minted we are dedicated to going the extra mile to make your personalized foil products everything you imagined. 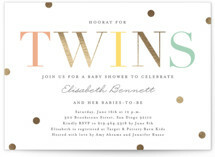 Not sure how to word your invitations? 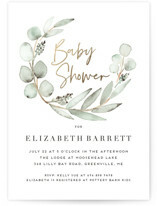 Our dedicated design associates are happy to help with baby shower invitation wording and answer any design or etiquette questions. 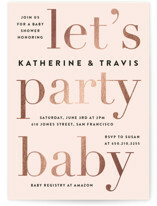 We are happy to help make your shower invitations truly one of a kind. 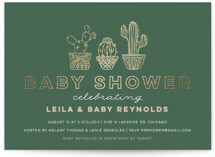 But, the celebration doesn't have to end here. 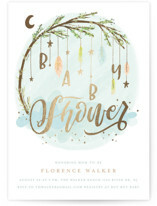 Continue to show off your bundle of joy, after their arrival, with our gorgeous photo birth announcements.